The Colorado Avalanche came into the 2017 NHL Draft on a mission to continue building a pipeline so the future looks better than the 48 point disaster that was the 2016-17 season. Continuing their recent trend of good drafts was a key to delivering more hope, but there were more boxes the Avalanche needed to check during draft weekend. 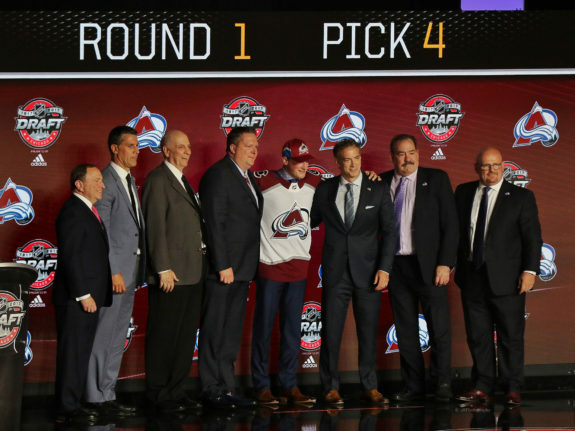 Here is the report card for the Avalanche draft weekend. Alan Hepple and the rest of the Avalanche scouting crew have to be looking back at their list of players taken feeling very good about themselves. Colorado addressed many glaring needs for their pipeline while getting excellent value. 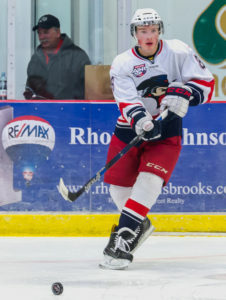 Cale Makar was an easy choice for the Avs with the fourth-overall pick; he not only adds to an increasingly impressive list of defensive prospects but he is the first who has the high-end talent of a potential game-changing player. There are some who already suggesting that the Avs got the best player in the draft by selecting Makar. About the only place the Avalanche didn’t get a decent value was with the selection of Petr Kvaca, an overage goaltender out of the Czech Republic. Kvaca plays in the lower league, but played very well for his team and is looking to move up next season. It’s an odd pick because so little is known about him and his ceiling is nearly impossible to predict. The big problem with this is that there is also no real timetable to see him join the franchise at the minor level. It seems that, as an organization, the Avalanche have a tendency to stay away from talent from North America when it comes to goaltenders. This is a trend I would like to see change. Still, the Avalanche did a good job getting value out of their picks. The Avalanche also succeeded in maintaining balance with their draft. After selecting two defensemen in a row, something the Avs have rarely done with their first two picks since moving to Colorado, things evened out and Colorado left with three defensemen, three forwards, and one goalie. Another positive about this is that each selection addressed a need within the system. In addition to the positive defensive prospects now added, the Avs selected three immensely skilled forwards that are low risk/high reward and each put up points in different ways. Nick Henry does a bit of everything and finds open ice in scoring positions. Igor Shvyrev has magic hands and is a pure sniper and Denis Smirnov adds the soft hands that can make excellent plays in small spaces. Each player has things to work on but decent development could see them as NHL regulars in years to come. One area of failure is Joe Sakic’s inability to add any more picks to the board. 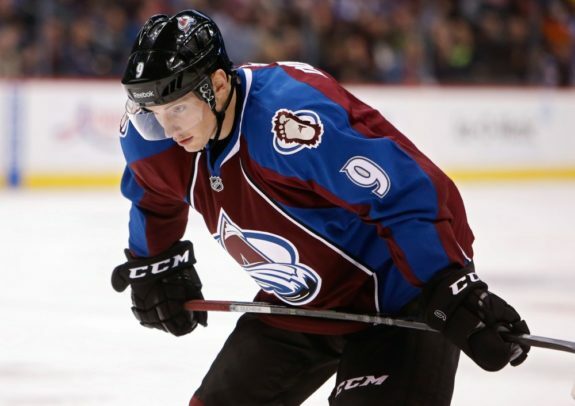 It seemed Colorado was ready to move Matt Duchene before the draft but it never happened. Now whether or not failing to move Duchene specifically is a bad thing isn’t really the point, rather he seemed the best tactic for the Avs to not only acquire more draft picks, but to bolster their current blue line. A rebuilding team like the Avalanche need to stockpile as many picks as possible and the Avs did not manage to do that. All things considered, this was really Colorado’s only main failure of the draft. Based on the strategy I laid out for the Avalanche before the draft, most of the boxes were checked. The team stayed balanced with their picks, they got good value from almost all of their selections, and they drafted a goalie. Still, the value from Kvaca’s pick is a question mark and Colorado did not manage to add any additional draft picks to their list. A decent showing, but how did they do with their most important job? Did the Avs provide any extra hope moving forward? As far as next season is concerned, absolutely not. Fans didn’t see much change other than losing Calvin Pickard to the Las Vegas Knights. It will take years for these picks to make it to the NHL so no large changes have been made to the current lineup. Free agency still is on the horizon and there is no telling what new faces will make the opening night roster when October rolls around. In the long run, however, this draft should provide a great deal of hope for the Avalanche. The system is continuing to get stronger and that, more than any trade or signing in free agency, is what will make the Avs a good team again. The Avs’ final grade for the 2017 NHL Draft is a B+.